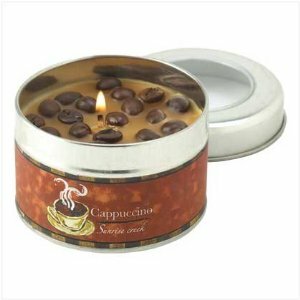 Get the cool scent of a cappuccino in a candle. Comes in a metal tin which can be sealed closed to preserve the scent when not in use. Has coffee beans in the candle wax.